Congrats to the English Women’s cricket team for a stellar performance a few weeks ago to lift the World Cup; and also to our footballers for a great effort in the Euro 2017 football. Sadly they were beaten 3-0 by the Dutch (Richard Walker is happy as two of the Dutch team play for Arsenal; I guess a case of club before country). It's that time of the year and for those of you taking some time off in search of fine weather, I wish you the best for a relaxing and I’m sure well-deserved break. At CurveGlobal, we’ve got a lot going on to keep us busy through August, with a number of new market makers jumping onboard and activity continuing to provide positive momentum. So I thought it would be a good time to give you a quick update on progress to date. 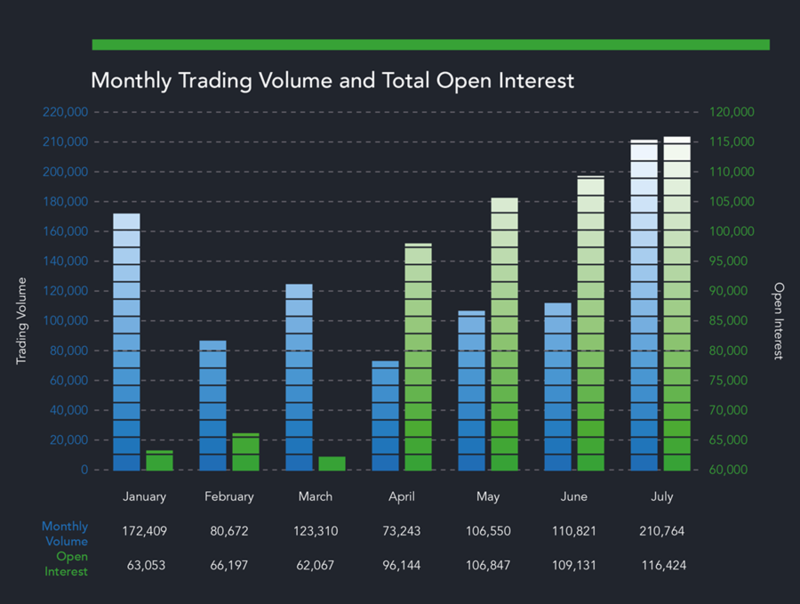 Of note, business is building with record monthly volume and open interest in July. To give some context, it took 42 days to do the first 100k of volume, but less than 10 days to do our last 100k. Overall, we’re delighted with the response to Curve’s industry solution and see a genuine desire to move towards an Open Access solution. You’ll also have no doubt read in the news that yet more structural changes are occurring across the industry, with central bankers looking to reform Libor, one of the foundational points of the swaps and futures market. Here at CurveGlobal, we’re working with our partners at LSEG and LCH as well as leading buy and sell-side firms to develop new futures, based on indexes associated with Libor replacement to run alongside the existing products. To hear more about how this can help you navigate this change, please contact us. But for now, we continue to focus on making the implementation of Curve as seamless and painless as possible. That means you’ll start seeing the benefits of partnering with us even more quickly. Open Access is the principle at the heart of free, fair and competitive markets, such as labour, intellectual property, food and industrial goods. But for too long European derivatives trading and clearing, the backbone of a trillion Euro industry, has been an outlier. By turning their back on Open Access, large derivatives venues have been able to operate a "closed" silo model, which ties the trading, clearing and licensing of products to a specific venue. We believe customers should have the ultimate choice in where they take their business. That’s why we welcome the introduction of the Open Access provisions in MiFID II that give investors transparency, competition and better risk management. If we are to learn anything from the tumult a decade ago, it is that concentrated, poorly-lit and undiversified pools of risk are the genesis of financial crises. It was for precisely this reason that the G20 made the bold decision to mandate the clearing of a wide array of financial products, to shed more light on previously opaque markets. One of the largest drivers of efficiency in any market is competition. While silo-operating derivatives venues might argue that they provide sufficient innovation or service levels, competition always reveals more that can be done to better serve customers. Why are we so certain of this? Because we have lived through an almost identical market transformation when MiFID I introduced competition to the world of cash equities. In equity trading and clearing, competition has significantly reduced costs while at the same time improving speed and technology as well as customer service. Open Access and interoperability: huh? Open Access means ensuring non-discriminatory access to trading and clearing – allowing investors to trade on multiple platforms and benefit from lower trading fees across asset classes. CCPs should have non-discriminatory access to trading venues – offering investors the opportunity potentially to benefit from reduction/netting of their clearing margin within an aggregated and enhanced liquidity pool. Interoperability means allowing products traded on separate venues to be fully fungible. In other words, it obliges clearing houses to interconnect, sharing their open interest pool and helping market participants reduce costs by netting and cross-margining trades taking place on different venues. Our position is clear. We firmly believe that Open Access is the only right choice for European markets and that interoperability should be permitted but not mandated, particularly in respect to OTC derivatives where nothing should stop CCPs and trading venues seeking to cooperate to meet the needs of investors. For this month's Trade Idea we highlight the potential cross-currency margin reduction opportunities for CurveGlobal Bond Futures that users can seek to obtain with the Spider 2.0 release from LCH later this year*. Our Trade Idea focuses on a client holding a spread position both CurveGlobal Long Gilt and Bund Futures against the spread OTC position holding 10-year payer swaps in both CAD and AUD. It would be possible to combine such a multi currency position using CurveGlobal and SwapClear. 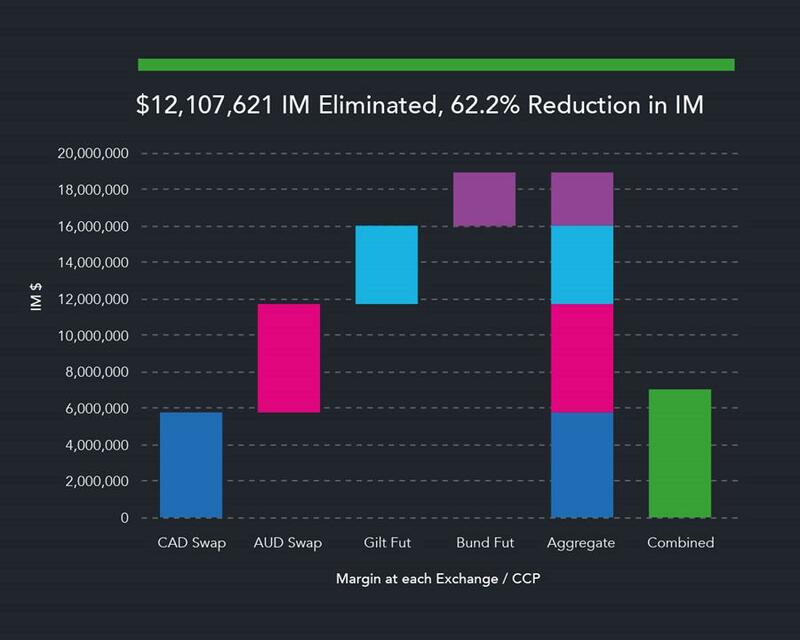 In this specific scenario, the Initial Margin requirement for the combined position is lower even than the original requirement for both Swaps at LCH and has eliminated the IM requirement for the futures positions. The footnotes provide the trade specifics with the chart showing the comparison between separately collateralised positions versus combining within LCH Spider. Milain Thakkar is responsible for the Research and Development of newly listed products on CurveGlobal as well as driving on-exchange market structure innovations in the Exchange Traded Derivatives (ETD) space. Additionally, Milain is responsible for the statistical and quantitative analysis of futures products and their corresponding markets. 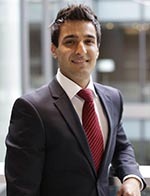 Milain graduated from the London School of Economics with an MSc in Finance; the key focus of his degree was on Asset Markets, Financial Engineering and Risk Management. 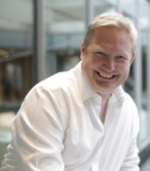 He subsequently went on to work in Financial Risk at LSEG and Risk at LCH before joining CurveGlobal in January 2016. Whilst growing up in Kenya, Milain aspired to play competitive golf. With a few fades into the clubhouse and a couple of broken windows later, he decided to focus on fitness challenges instead, with an aim to complete the Iron Man challenge in 2018. Some of his other interests include white water rafting, scuba diving and playing the saxophone. To find out more about CurveGlobal or to offer suggestions on improving this newsletter, contact us at +44 20 7797 1055​ or info@curveglobalmarkets.com.